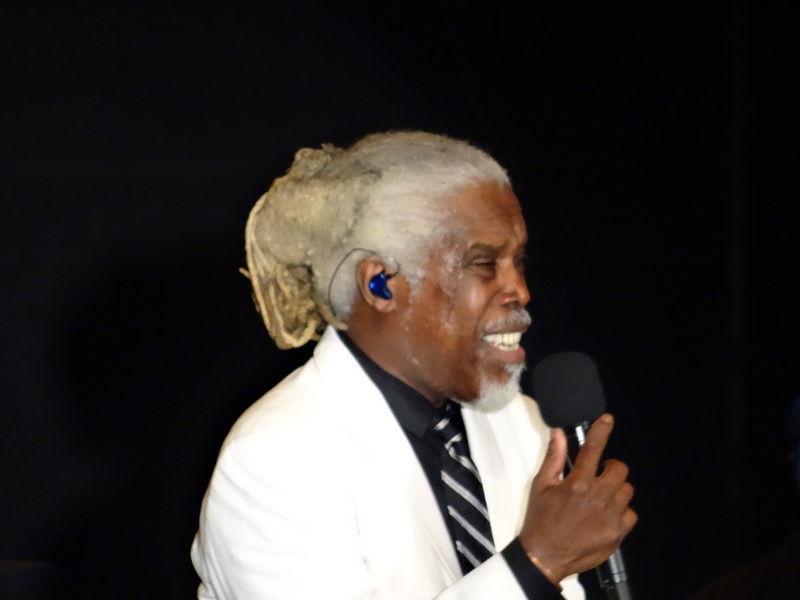 Billy Ocean’s music ruled in the 80s and his career goes back even past that. He has sold a ton of albums, his biggest songs were in movies and he has several songs that most anyone that remembers him can name off the top of their head. He put out great albums, great lyrics and great, memorable music that has really stood the test of time. Surprisingly, he really has as well. At 65 years, he’s almost twice as old as when he first hit major success/ the big time and he really hasn’t shown many sign of slowing down all these years later. He started out around 9:00 with “Stand Up Stand Up” and put on a spectacular vocal performance throughout. His stunning voice and his overall “coolness” has the crowd loving every second. They definitely brought it at this show. 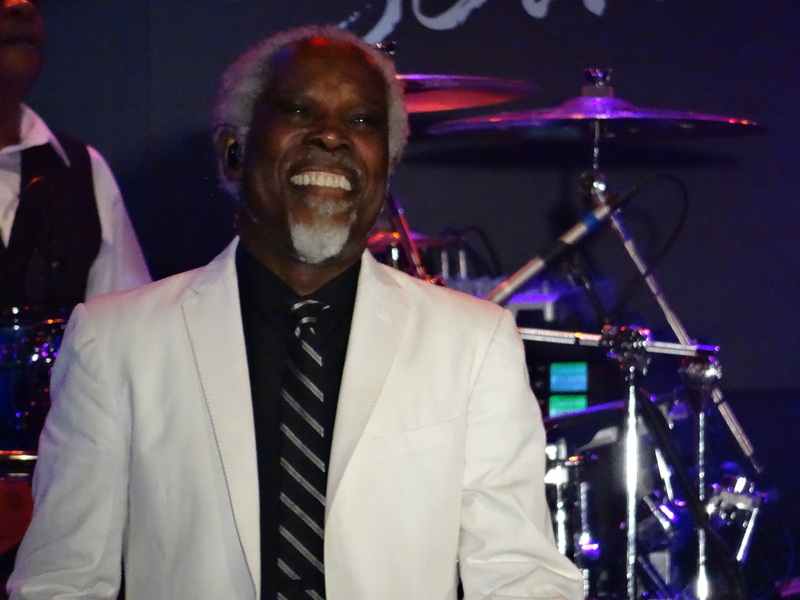 His funky band was top notch and together, they tore through two hours of classics, including a popular Bob Marley tune and a “Freedom Rock” classic. 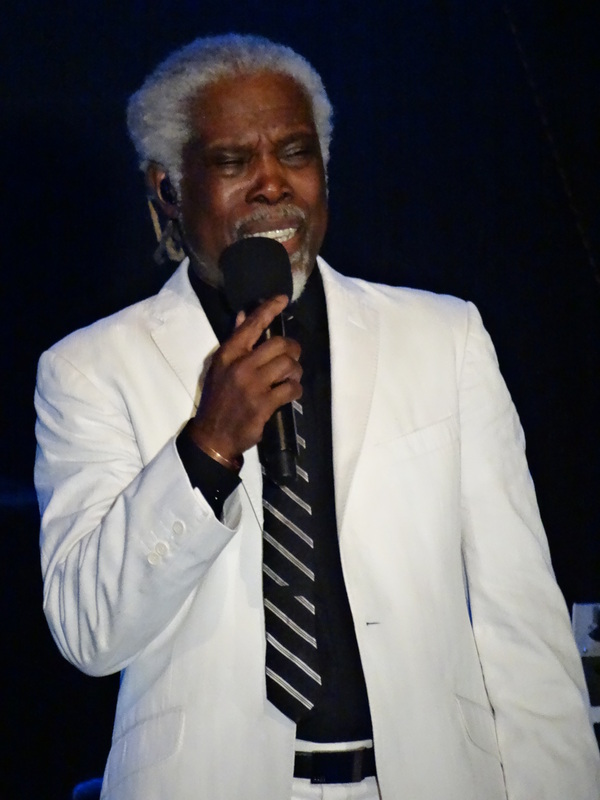 He still his signature vocal style is well in tact with his strong pipes, stage presence and presentation. 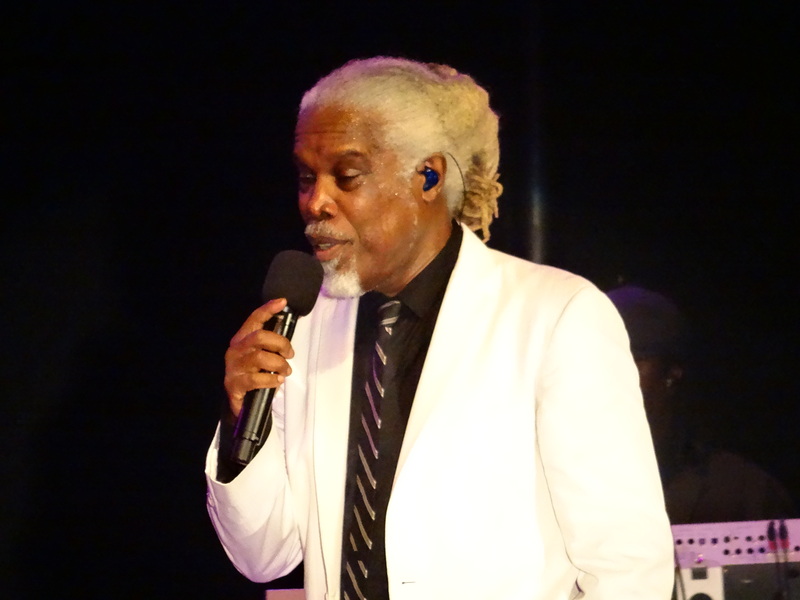 He has a certain style and class that match his tremendous vocal abilities. In terms of coolness, he’s up there with Tony Orlando. 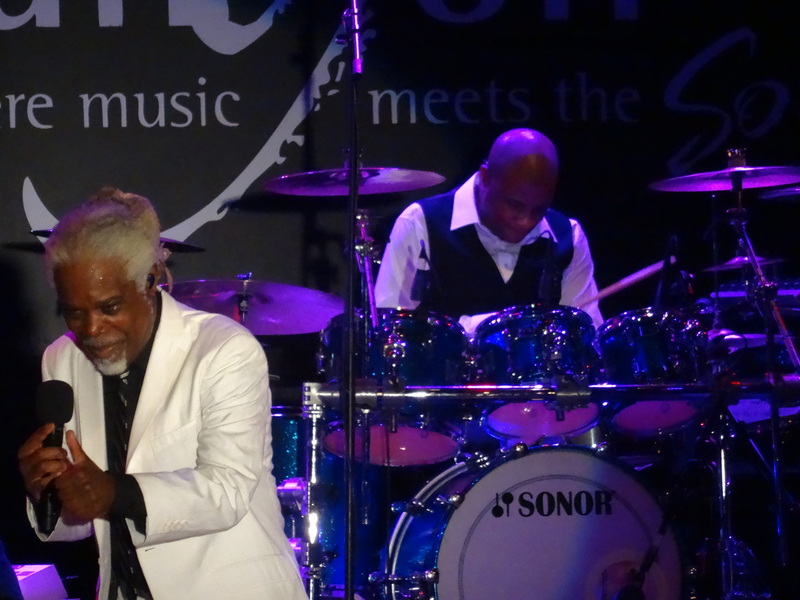 The rhythm section is powerful,and the back up singers, guitar and saxophone really bring the songs to life. The was a little bit of hard rock guitar soloing thrown in towards the end of the set, which was also nice. And he smiles a lot during the show. His show will bring back great memories. 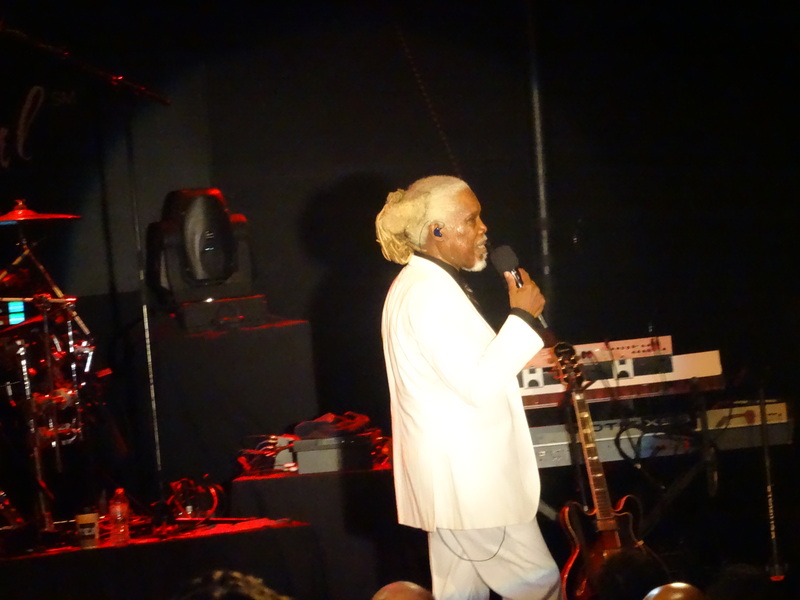 Seeing Billy Ocean on his current tour is highly recommended.